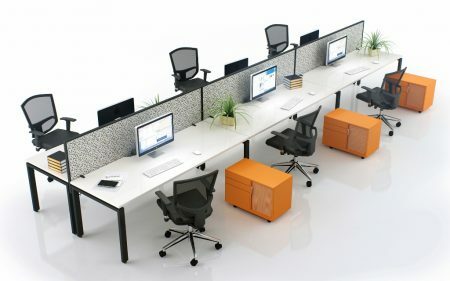 The “Sit Stand” Workstation System is an essential part of today’s flexible workplace, encouraging healthy work practices and the ability for the user to move crucial body muscles by sitting or standing at their individual workstation. 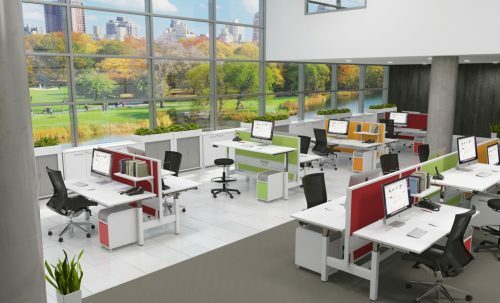 It can be tailored to suit every workplace environment with the option of 90-degree 4-way pods, 120 degree 3-way pods and straight linear benches that all height adjust or even single stand alone individual desks. Each panel can be upholstered in any fabric of choice with the option of a pinnable surface if required. Function wall, glass and whiteboards can be set into the panel. In addition shelves and paper trays to create the ideal workspace for every employee. 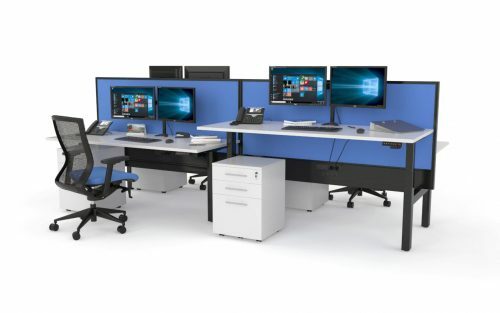 The Sit Stand System shown, features electrical height adjustable legs that are driven by fluent dual motors and can be configured in linea, 120 degree or corner workstation configurations. With a height range of 660mm to 1280mm it provides all users with maximum flexibility to suit their individual requirements. Sit stand also comes with a in built safety feature system called “Ant Collision” which protects the user from having limbs caught between surfaces. 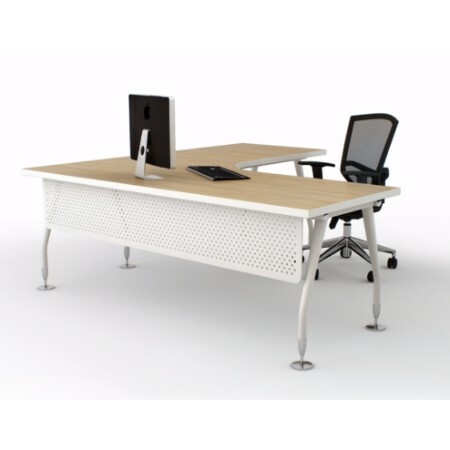 This workstation is available as a fully integrated workstation/screen system or simply as individual free standing desks.